The Android POS has become one of the most popular options for a Point of Sale System for many businesses due to its space saving size and lower cost. Paired with the right software and hardware bundle, an Android POS can be the perfect Point of Sale System for small businesses looking for a simple, easy-to-use solution. 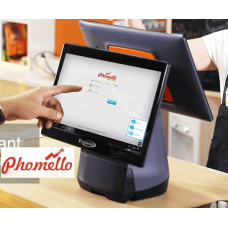 Phomello LitePOS with Pegasus ..
A Simple GST / VAT Enabled Billing POS system for ..